Pulping Machine Chain Conveyor is a transmission device with a standard chain plate as the bearing surface and driven by a motor reducer, which is composed of power unit (motor), drive shaft, drum, tensioning device, sprocket, chain, bearing, lubricant, chain plate and etc. Generally speaking, the motor should be change the oil in time for about one year to ensure that the motor is in a best operation state and reduce internal losses. After the equipment of the chain productline is used up, it is necessary to turn off the power in time and clean the surface of the equipment for a period of time and it should be maintained by equipment personnel. Conveying Material: Waste Paper/Pulp Board. Leizhan can also supply other energy saving pulping machine such as drum pulper, hydrapulper, cleaner, pressure screen, sepatator, agitator and etc. 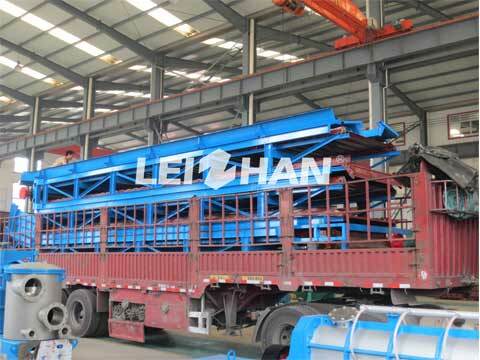 any needs, kindly contact with us: leizhanpulper@gmail.com.